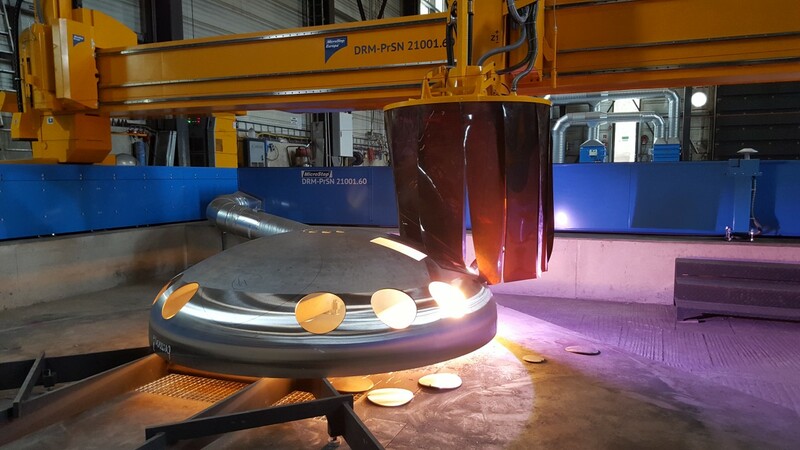 Production of pressure vessels and boilers counts among the major industrial applications where cutting of 3D objects comprises an essential part of the production process. The obvious requirement is to make this process fast, simple to setup and, most importantly, with an accurate result that won´t need further mechanical or even manual processing. Typical cutting tasks in this regard are cutting of openings in a dished end of a vessel for welding of inlet pipes, slicing of a dished end or trimming of the edges of a dished end with preparation for its welding to the vessel body. The cross-sections of the cut edges must meet the requirements of the subsequent welding process – in other words, depending on the wall thickness of the cut object, the V-, X- or K-cuts with constant or variable bevels need to be produced with the prescribed accuracy, preferably in a fully automatic process. For such tasks MicroStep has developed a special beveling tool station that enables tool tilting up to 120° while having a big enough stroke to reach across the whole dome surface. Furthermore, MicroStep has newly introduced an advanced 3D laser scanning process and a corresponding point cloud mapping software – mSCAN – that enables a CNC cutting machine to measure the true shape of a 3D object, e.g. a dome, and use this measurement for adjustment of the subsequent cutting process so that contours and openings are cut in the needed positions on the surface with a very high precision – compliant with the production requirement. 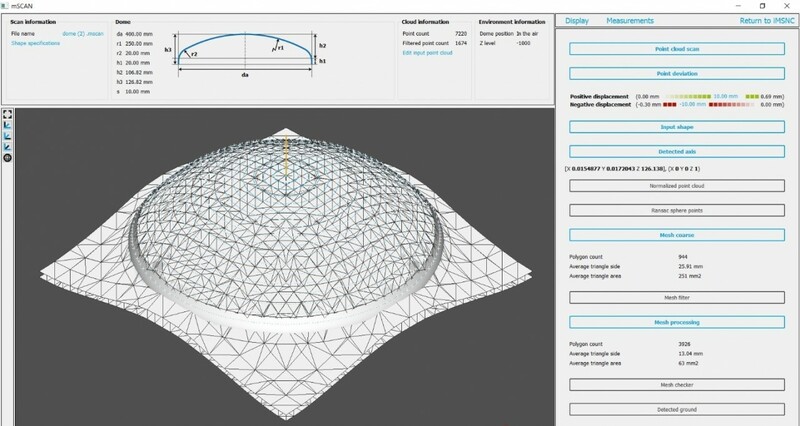 Needless to say, implementation of such 3D scanning technology greatly contributes to increasing of the accuracy of the dome cutting process, as the real dimension of a dome can lay within – at least – allowed tolerances which in fact means that the real and ideal shapes of domes sometimes differ by several centimeters. Conventional methods of positioning corrections via control of plasma arc voltage are thus not applicable in case of 3D cutting. 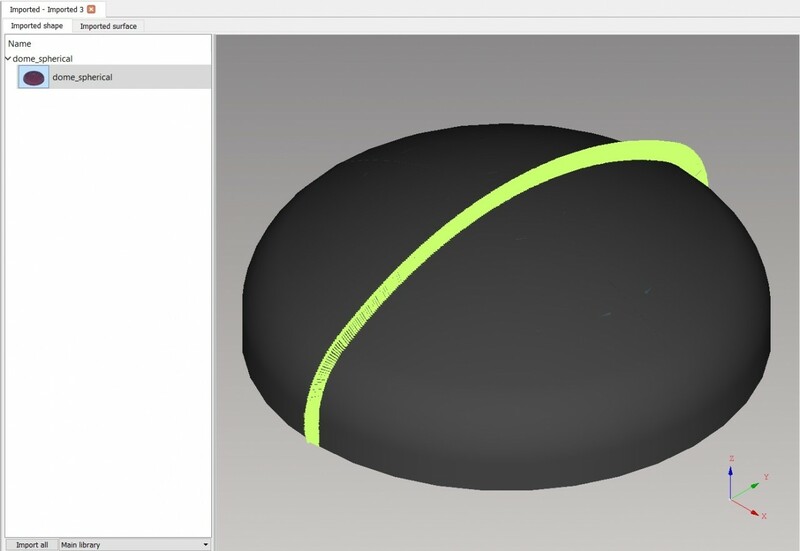 Implementation of a scanner on the other hand makes it possible to create a model of the actual dome surface within the coordinate system of the cutting machine and to subsequently use this model to analyze the shape of the dome, identify its center and define the exact toolpath above the surface. How does it work? During the scanning process, the iMSNC control system receives data from the scanner and pairs it with positions of all motion axes of the machine in each moment. The measured positions are further adjusted by applying displacement corrections of particular axes positions (based on the exact measurement of machine kinematics by a laser interferometer) as well as the calibration data of the bevel head and 3D scanner itself (obtained via MicroStep´s patented auto-calibration technology ACTG). As a result, the control system has information about the exact position of the scanned object with respect to the cutting tool and thus enables exact scanning of this object within the coordinate system of the particular cutting machine. The scanner then uses mSCAN to create a surface representation of the object in form of a point cloud. 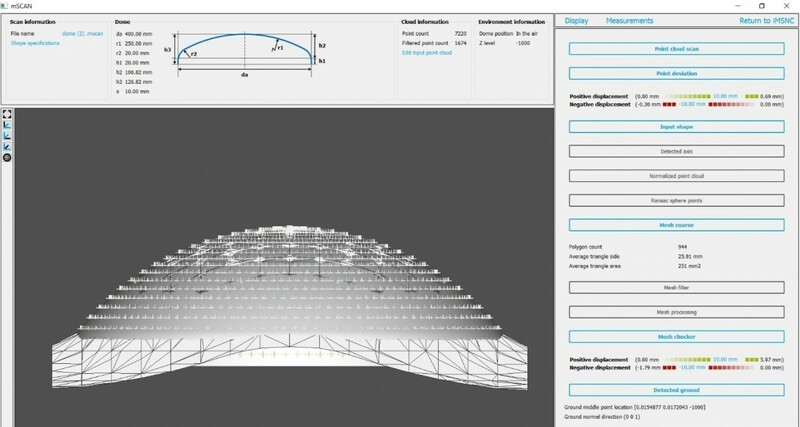 mSCAN uses various shape calculations that fully describe parameters of the scanned dome and identifies manufacturing imperfections and deviations from an ideal 3D model. A digital representation of the real surface is then created based on these information and is used to adjust all of the cutting paths originally generated for an ideal shape to the actual scanned surface. Depending on the dome size, this whole process, which is carried out prior to the actual cutting, takes from 2 to 10 minutes. Of course, there are cases where it isn´t necessary to perform the whole process and thus the time is significantly decreased. 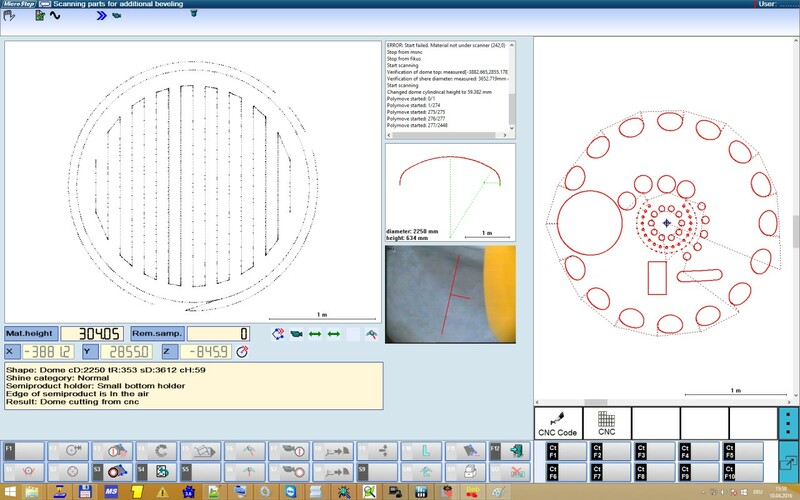 In case the customer needs to measure just the dimensions of dome, it is enough to scan a “cross” projected over the top of dome – this way, also the exact position of the dome top is determined, which may be important for the next production steps. 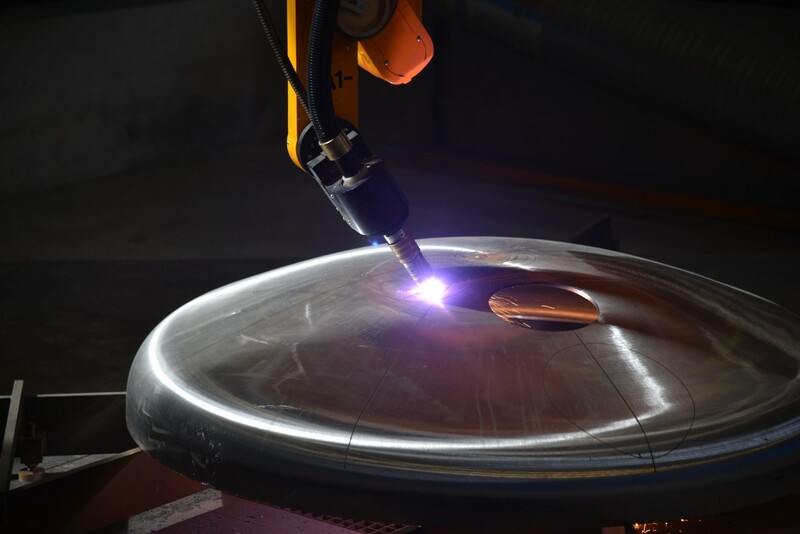 The top of the dome can be marked with a marking head or directly with a plasma torch, depending on the particular configuration of the machine. Also, if the cutting plan involves just a part of the dome surface, e.g. the spherical top part that is usually quite flat, it is not necessary to scan the whole dome extensively. 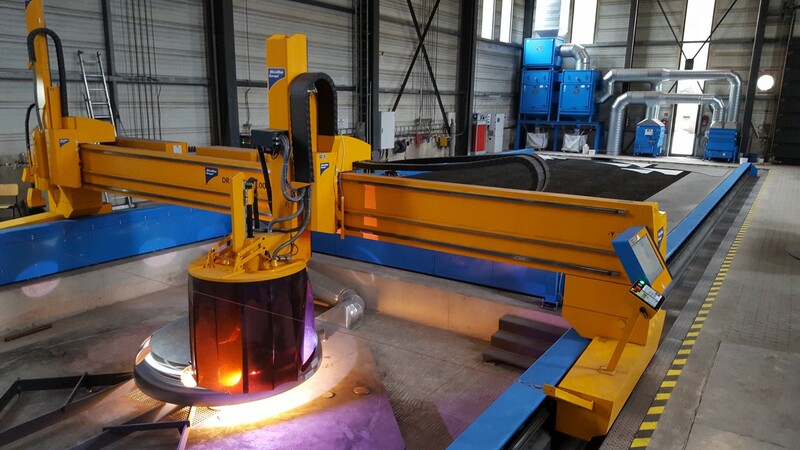 In case of cutting into the more flat top part the height control during cutting can be based on plasma arc voltage which is a standard function of any MicroStep plasma cutting machine. All processes and 3D scanning functions are handled by the machine operator or easily accessed via a company network. 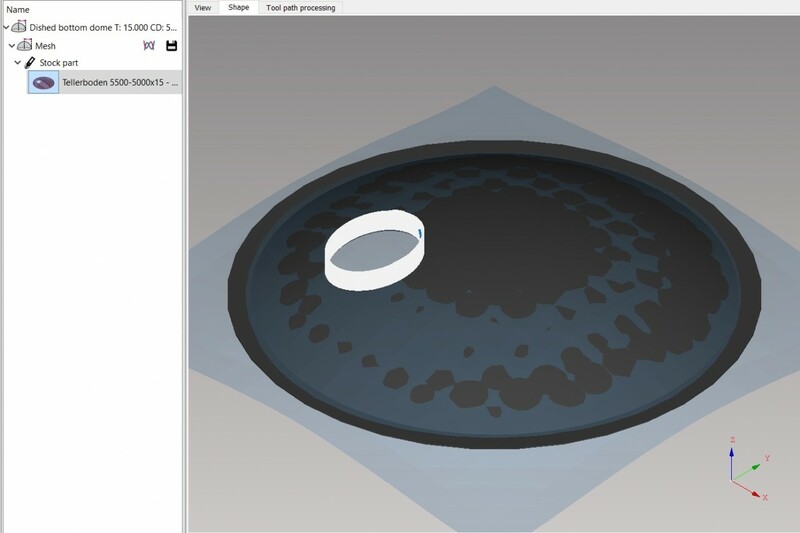 Additionally, mSCAN provides an analysis of shape geometry – a comparison of the true and ideal shapes of the scanned object which in itself is a powerful tool for verification of production output in production of 3D objects, e.g. domes. 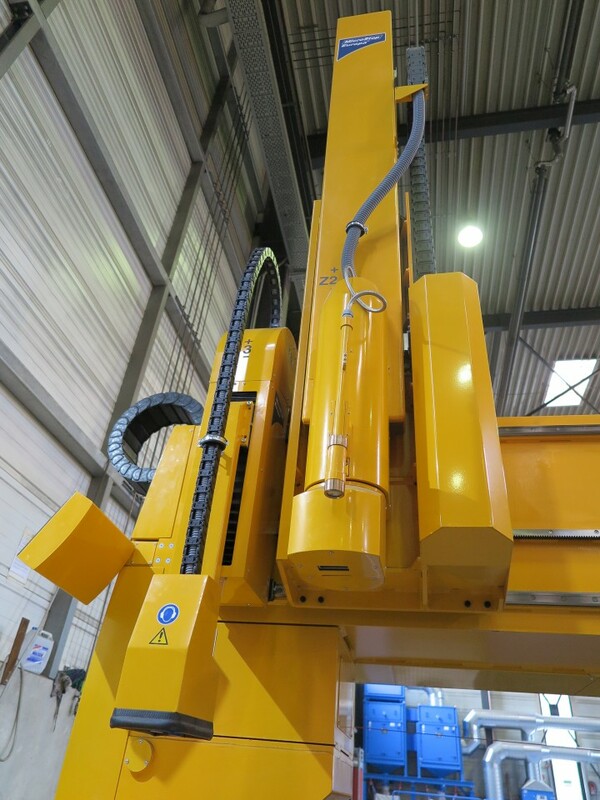 Thanks to the modular structure of MicroStep machines in terms of machine dimensions, types and locations of cutting zones and configurations of tool stations, a particular machine can be designed according to exact requirements of a customer´s production. 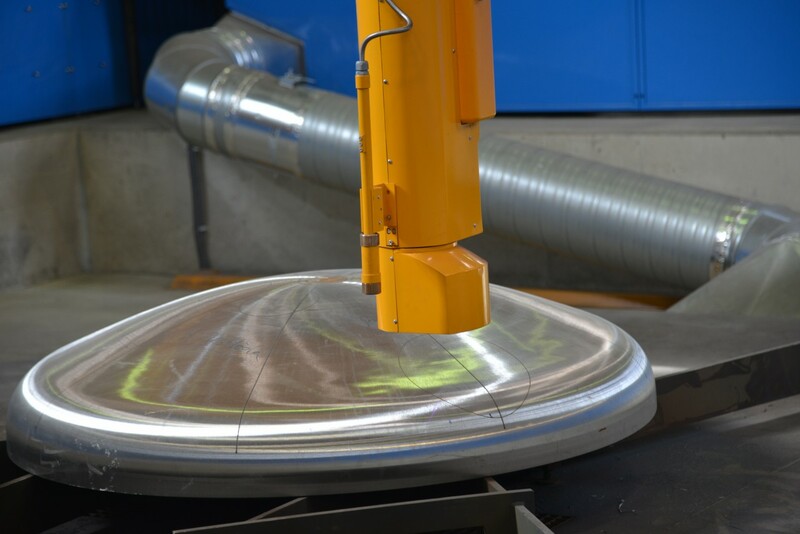 A single gantry with a bevel tool station, 3D scanner and marker can be used for cutting of domes as well as flat sheets – an example is the DRM machine for Slawinski GmbH in Germany with a flat-bed cutting of sheets on the area of 14 x 6 m and dome cutting in the range of Ø 500 – 5,500 mm with a dome height up to 1,200 mm.